You can often determine if a story is fake by researching it at Snopes.com. Shown below are a few fake photos that have spread across the Internet for years. 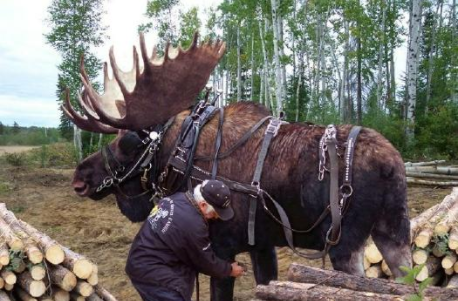 Fake photo of a moose hitched up to haul logs.